Visa requirements vary. The individual traveller is responsible for a valid visa. We are happy to assist with information. NB! Please make sure that your passport has at least one empty page per country that will be visited. If you, for instance, go to Mozambique or Swaziland and return to South Africa your passport should have three empty pages. 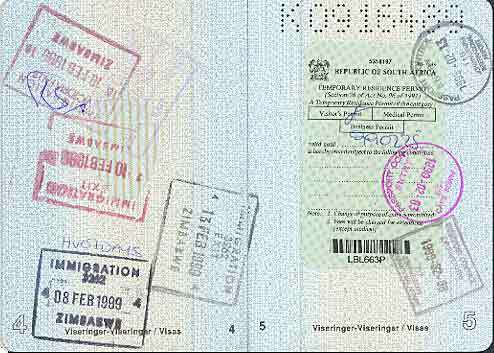 The passport must be valid for no less than 30 days after the expiry of the intended visit. The word ”safari” is very likely to pop up once you mention holiday in Africa. Not many know that safari is the Swahili word for travel….